Potrero Beach is located north of the Pacific coast in the Guanacaste province, where there are many beaches by turquoise waters; here the visitors enjoy days of dream, surrounding exotic plants and wildlife; plus a great view of some volcanic mountains surrounding the province. Potrero beach is ideal for watching stunning sunsets, and for people wishing to escape the bustle of the city and modern life; here is the perfect destination for your vacation. This beach has an ideal location, close to the most popular beaches of Guanacaste, Flamingo Beach, Brasilito Beach, Conchal Beach, and Penca Beach Prieta beach, to which you can get to easily, but playa Potrero doesn't have the bustle or the amount of people who visit these other beaches. Potrero Beach is ideal to visit because of their near perfect climate, the temperatures remain above 80 or 90F all day, this region gets less rain than other parts of Costa Rica; its dry season runs from November to April, where the nights are cooler and winds coming from the north, once the sun sets. The "green" or rainy season runs from May to October, but most rains occur during the month of October. This small coastal town has a population of about 450 inhabitants, it is home to Costa Ricans who have lived in this community for generations, as well as a large number of Nicaraguan immigrants, also it has a large expatriate community, mainly from the United States, Canada and Italy. This quiet community features a soccer field, two churches, a community center, some restaurants / bars, lodging and a primary school. If you need help to book lodging in this area, please contact our commercial partner to this email, and they will gladly help. This zone offers a variety of restaurants and bars where you can find countless dishes, if you want to eat seafood go to the end of the beach, there is the small fishing community, where local fishermen offer their fresh products; well there you can also find small shops that will help you meet any basic needs. This is the best option to travel without having to worry about anything; Interbus provides transportation from the main tourism destinations in Costa Rica. You can choose to travel to the areas like La Fortuna, Monteverde, Rincon de la Vieja and San Jose to this beautiful beach; or from this beach you can travel to La Fortuna, Monteverde and San Jose. To book or for more information about fees click here. The companies in charge of offering these local flights from San Jose to Potrero beach are Sansa and Nature Air; both have daily scheduled flights to Tamarindo zone, this flight takes about 45 minutes, and then 30 minutes' drive from Tamarindo to Potrero Beach. 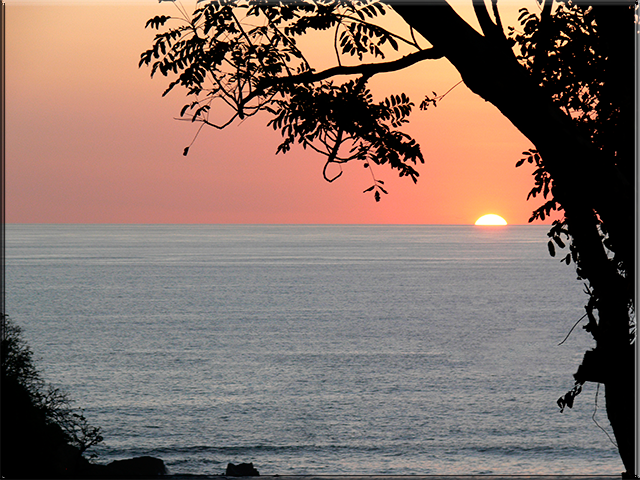 From Tamarindo to Potrero beach you can take an official taxi, or you can contact your hotel and arrange transportation. If you get to the Daniel Oduber airport in Liberia the best option is to rent a car; at the airport will find the different options to rent. From the airport to Playa Potrero there are approximately one hour and thirty minutes. There are several points located on the shores of the beach, including the famous Las Catalinas area, these islands were formed by ancient volcanic eruptions and over time have become the perfect place to observe the marine life of the place, here you can find stingrays, whale sharks, black fin sharks, whales and many more species. Is the number one activity in the area. This zone is famous for its sport fishing, the region is even known as the sport fishing capital as this beach has received several awards for its fish species. In Potrero beach you can also do horseback riding, rent a mountain bike, a kayak or take tours like going to nearby nature reserves, volcanoes, hot springs, indigenous peoples, caves and of course to other beaches. Also in the south on Flamingo Beach, you find the Flamingo Marina, there you can also opt for a full service as boating, and water sports rentals, too. Visit Potrero.... And enjoy its beauties.